High blood pressure (hypertension) is present in 3.5% of children including babies and that rate is reportedly increasing. Hypertension can develop slowly and without obvious symptoms. In other conditions, high blood pressure can develop suddenly and cause acute symptoms. 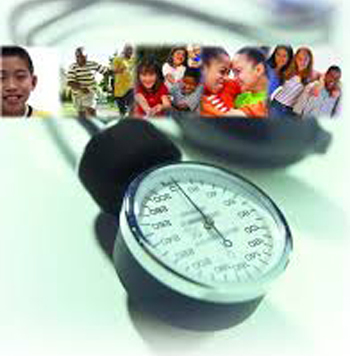 If left untreated, hypertension in children can lead to significant damage to the body. The good news is that hypertension is treatable and these children can lead active, normal lives. 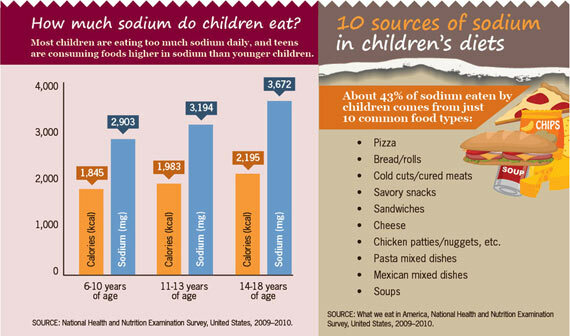 Childhood obesity is linked to the growing incidence of hypertension in children and teens. Often other lifestyle habits like an imbalanced diet, lack of exercise and unregulated supplements influence this condition. At other times, the use of some prescription medications even though they were appropriately prescribed can also influence this condition. The effects of hypertension can impact many organs in the body and even without any symptoms can be causing damage to the heart, kidneys and eyes. Acute hypertension is usually associated with other conditions such as a condition of the kidney called glomerulonephritis. Symptoms are likely to be present. Assessment and treatment by a physician should be done is a timely manner. At the Hypertension Clinic we work closely with other pediatric specialists and primary care physicians to identify children at risk for hypertension in order to prevent other health consequences. Symptoms sometimes associated with hypertension: Headaches, visual changes, dizziness, excessive nosebleeds, heart palpitation and nausea. TIP: At routine check-ups keep track of your child’s blood pressure readings especially if he or she is overweight or obese or if there is a family history of high blood pressure. In the Pediatric Hypertension Center we have extensive experience evaluating blood pressure of children of all ages and sizes. If hypertension (high blood pressure) is diagnosed, it may be linked to another illness or condition. such as kidney disorder, hormone imbalances and abnormalities of the blood vessels. The management and treatment plan is always directed at not only controlling the blood pressure but also treating the primary condition if present and preventing any adverse consequences. While automated blood pressure devices are good for screening blood pressure readings, the manual blood pressure readings are more accurate. As a child grows in age and height, the systolic pressure (higher number) and diastolic pressure (lower number) readings increase from approximately 90/60 n an infant to adult values in a teenager. In children, high blood pressure is defined as a blood pressure where 95% of the kids in the same age, height and gender have a blood pressure reading below the systolic/diastolic value identified. We take every opportunity to calm our young patients and show them that a blood pressure cuff doesn’t hurt, it just squeezes their arm temporarily. Several blood pressure readings are taken to determine an average reading. We aim to treat the underlying cause of the hypertension and that includes educating these children and their families about healthy diet and lifestyle changes that will make a difference. Our Pediatric registered dietitian works closely with families to identify meal plans and healthier food choices. Medically supervised weight loss with daily exercise may be recommended. In some cases, medication may be necessary, but with comprehensive monitoring by our office.